Kathe Pinchuck, The Whole Megillah‘s June 2010 Librarian of the Month, is the outgoing chair of the Sydney Taylor Book Award Committee and that experience has given her a unique perspective on Jewish children’s literature. She is the librarian at Congregation Beth Sholom in Teaneck, New Jersey and a part-time Information Specialist at the Montclair Public Library in Montclair, New Jersey. The Whole Megillah (TWM): What do you see as the role of Jewish-themed literature in the lives of children, both Jewish and non-Jewish? KP: I recently heard Mitali Perkins (an Indian-American) at a Book Expo presentation. She talks about her books as windows and mirrors, and the metaphor obviously works for Jewish books as well. Jewish-themed literature plays a big role in the lives of Jewish children. They feel a tremendous amount of pride that there are books about their culture and heritage. I think this is highly evident in the success of the Rebecca series from American Girl. While the books follow the formula set out by the publishers, Jewish girls could not get enough of them. There was a certain sense of arrival when the company produced a Jewish girl and the books that chronicle her story, and her story is similar to the other American Girls—Rebecca has hopes and dreams and the challenge of being true to her culture and to herself. For non-Jewish children, the books also act as windows and mirrors. Again, many childhood experiences—making friends, dealing with parents and siblings, are similar. But it’s also interesting to learn about different cultures or different approaches to life. 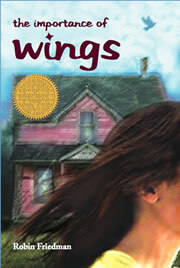 This year’s Sydney Taylor Book Award Winner for Older Readers, The Importance of Wings by Robin Friedman (Charlesbridge) is about an Israeli immigrant who wants to fit in. So certain things about Roxanne ring true for all adolescents – fitting in, having a crush, having hair that won’t do what you want it to. Other things make it uniquely Jewish—the ethnic foods, the effect of terror attacks in Israel. Another book that comes to mind, is The Little Red Hen and the Passover Matzah (Holiday House, 2010). Those familiar with the story of the industrious hen with lazy friends will appreciate the story on that level. Because they know the story, they are open to learning about how the hen gets ready for Passover. TWM: Which books do you think have made the most significant contribution to Jewish-themed literature, and why? KP: Obviously the All-of-a-Kind-Family series by Sydney Taylor. Although there were other books with Jewish themes, these were the first to introduce Jewish culture to the non-Jewish public. I tend toward authors more than single books when I think of contributions to Jewish-themed literature. I love the works of Sulamith Ish Kishor, especially Boy of Old Prague and Our Eddie, which are touching, literate books. Sadie Rose Weilerstein, even though her books are terribly dated today, made tremendous contributions with books like K’tonton and Ten and a Kid. I’m also a big fan of Marilyn Hirsh (a”h) and Jacqueline Jules. 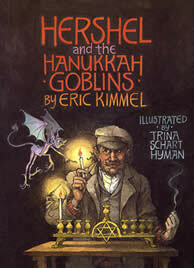 I think Eric Kimmel‘s work, his Hanukkah books in particular, have introduced all readers to the magic of the holiday. Looking back at my list, I think the best books are imaginative, have a story where the “Jewish part” is naturally infused in the plot, and teach a lesson or moral in a subtle way. TWM: How has the audience for Jewish-themed literature changed in the last ten years? KP: As the emphasis on multi-culturalism has increased, more non-Jews are reading Jewish-themed literature. I think that Judaism’s relationships with interfaith families have become more inclusive, so there is another group more interested in learning about Judaism and introducing its rich heritage to children. TWM: What trends to you see in the literature, and what predictions can you make for its future? KP: I’m seeing different perspectives on the Holocaust, which I think is an important trend. When I grew up (shortly after the Flood! ), we read The Diary of Anne Frank, Night by Elie Wiesel, and watched gruesome movies. Now there is much more material, and young readers are learning about different aspects of the Holocaust. I’m also glad that the non-Jewish perspective is also out there. As I’ve said before, one of my favorite books in the category is Silent As a Stone: Mother Maria and the Trash Can Rescue. This book was submitted for consideration to the Sydney Taylor Book Award Committee by St. Vladimir’s Seminary Press. While it isn’t really a Jewish book, it’s important to learn that a non-Jew risked her life to save Jewish children. I’m also seeing a lot of books from Israel being translated for the United States market. I’m thrilled about this because it demonstrates the universal themes of children’s books while highlighting some of the unique aspects of Israel in terms of geography, native animals, etc. TWM: What is the single greatest challenge you face as a Jewish librarian for children? KP: I think I face similar challenges to all librarians, in that we are competing for children’s attention with the internet, the DS, Xbox, Play Station, etc. Katherine Paterson, in her Anne Carroll Moore Lecture, said it so eloquently: “We know that the mechanical nightingale chirping out its metallic tune to order can never replace the wild creature filling the quiet woods with its heartfelt melody.” It is hard to get children to embrace literature when they are so many distractions and so many demands on their time. An equal challenge for Jewish libraries is the current economy. Libraries seem to be the first thing on the chopping block. So many colleagues, and myself included, have been let go or had their hours or salaries cut, that we are in danger of losing an invaluable resource. TWM: What do you see as the greatest opportunities for writers of Jewish-themed fiction and nonfiction for young readers? KP: I’m hoping that my wish list will be seen as opportunities! There are no books about Lag B’omer, which I think has tremendous potential in terms of attracting boy readers and learning about Israel. I would love to see more books about Israel (without politics or bias) that deal with children’s daily lives. I love the Biblical series from Kar-Ben (written by Jacqueline Jules and illustrated by Natascia Ugliano), and I would love to see more biblical fiction. When I put together a bibliography of books recognized by the Sydney Taylor Book Award Committee for Jewish American Heritage Month, it seemed like all the stories were similar: Jews escape the pogroms of Eastern Europe, take a boat to the United States, pass through Ellis Island, and live on the Lower East Side of Manhattan. I would love to see more about Jews of Sephardic origin, Jews living in exotic places, and different customs and rituals. 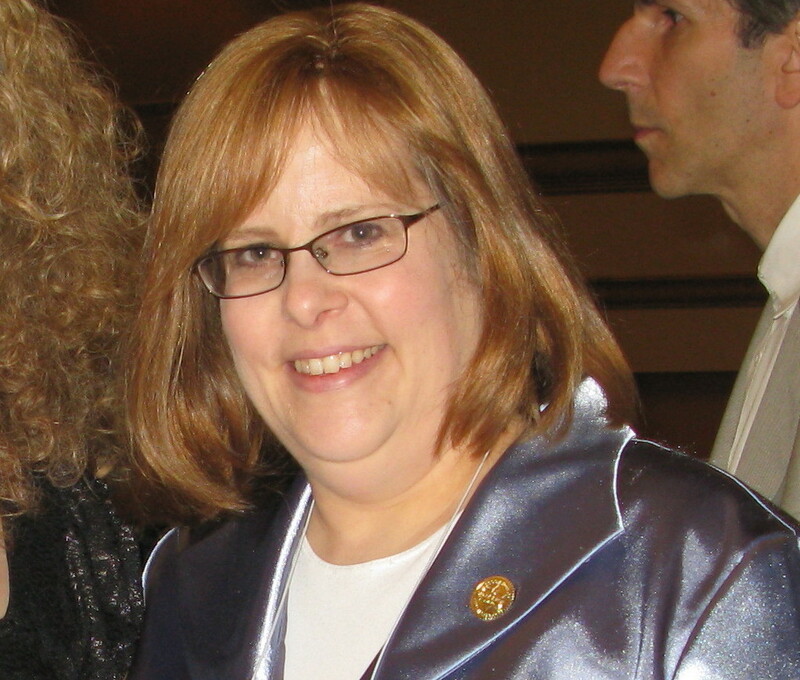 To read Kathe’s views about the upcoming AJL convention, click here. This entry was posted in Librarians and tagged AJL, All-of-a-Kind Family, American Girl Rebecca, Boy of Old Prague, Diary of Anne Frank, Elie Wiesel, Eric Kimmel, Holocaust, Jacqueline Jules, Jewish holidays, K'tonton, Kar-Ben, Kathe Pinchuck, Katherine Paterson, Mitali Perkins, Our Eddie, Robin Friedman, Sadie Weilerstein, Sulamith Ish Kishor, Sydney Taylor, Sydney Taylor Book Award, The Importance of Wings, The Little Red Hen and the Passover Matzah. Bookmark the permalink. What a great interview! So much insight. And I’m going to run out and read Sulamith Ish Kishor, whose work I must admit I’m not familiar with. Go, Kathe!